By default Microsoft Word 2007 shows paragraph markings even if the Show/Hide Paragraph Marks button is deselected. This can be very annoying and here is how to change it. 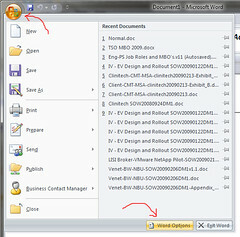 Then click on Word Options on the bottom of the menu. This will bring up a new window. Click on the Display tab on the left side. 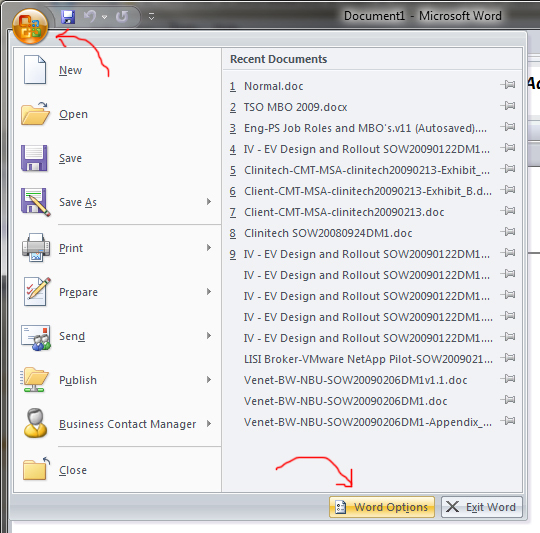 Once you back into word, feel free to turn it on and off again from the Home tab by clicking on the Paragraph symbol. 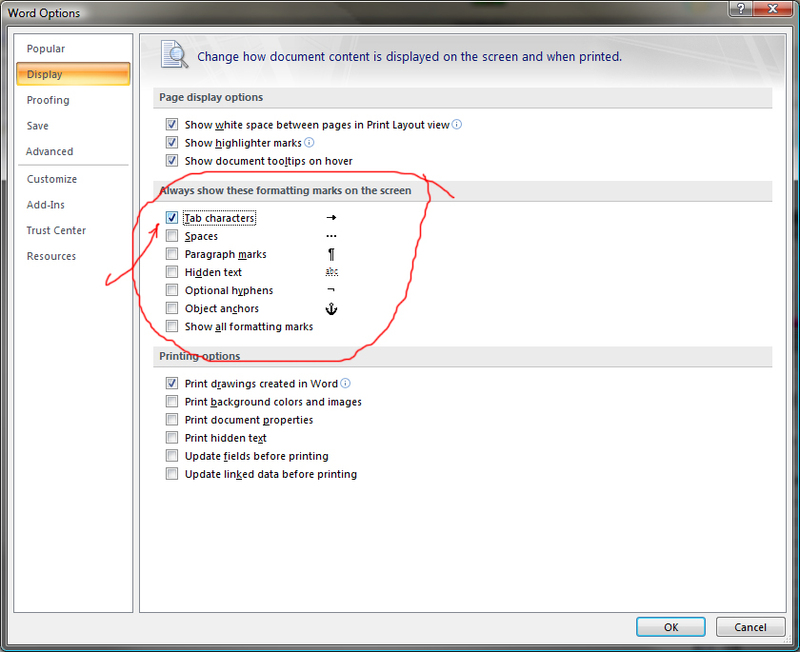 Categories: Technology and Toys | Tags: Hide Paragraph, microsoft, microsoft support, show paragraph, word 2007 | Permalink. I have done all that you said. The marks will not disappear. What do I do now? Please help me, I’m going a bit crazy with this problem.